Why the Irish Song "Mo Ghile Mear" is Not About Love, But Politics. Mo Ghile Mear (My Gallant Hero/Lad) is a haunting Irish song with a rousing melody, accompanied by an Irish Gaelic text most people cannot understand. Despite being sung in a language which is rarely spoken these days, a proper rendition of Mo Ghile Mear reduces stout men to tears. This emotional reaction is even stronger if you understand the message of the song. But Mo Ghile Mear is not just an Irish song. The well-known tune musically connects Ireland and Scotland, has ties to the English musician Sting, as well as the seminal Irish folk group Chieftains, and an unfortunate border collie. The translated lyrics to Mo Ghile Mear tell a part of the story, but this is not simply a ballad about a lost love, and nothing more - it is a coded political message which once was considered high treason. Popular since the 18th century, the song has come to international attention during the late 20th century again, mainly due to a number of excellent recordings. He's my Caesar, dashing darling. Since he went far away, my darling. And, alas, we hear no news from him. Mo Ghile Mear - a Love Song? At first, it may seem that this is a straightforward love song about a man who disappears and a woman who weeps and pines for him. However, this is far from a simple song of heartbreak because those in the know would immediately associate the singer with the goddess Éiru, the personification of Ireland itself. But who was the darling the goddess was lamenting for? None other than Charles Edward Stuart, better known as "Bonnie Prince Charlie", who led the Jacobite Rebellion of 1745 and then went over the sea to Skye, continuing to France, to live out his days as a pretender to the English and Scottish throne, finally finding his last resting place in the crypt of Rome's Saint Peter's Basilica - a fitting tribute to the champion of Roman-Catholic hopes. Mo Ghile Mear was written, in Irish, by the poet Seán Clárach Mac Domhnaill (1691 to 1754). A huge number of Mac Domhnaill's poems reflect a longing for the coming of a just, and Catholic, ruler - effectively conjuring a "better Ireland" that would reverse the historic reality of Glorious Revolution and the Battle of the Boyne. The Stuart pretenders were the real-life (though often not very realistic) focus of this longing. Mo Ghile Mear became Mac Domhnaill's most famous poem. 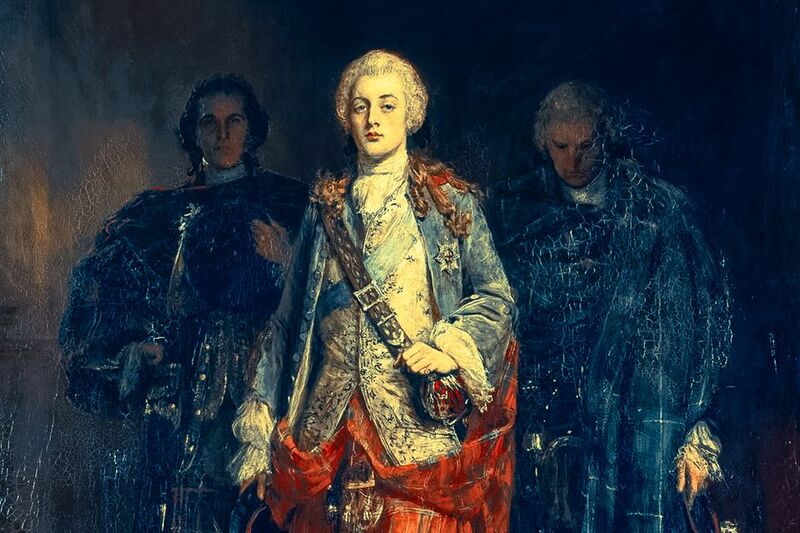 The lament was written after the Battle of Culloden (1746), the final defeat of Bonnie Prince Charlie, and the effective end Jacobite cause as a viable alternative to the Hanoverian kings. Thus, one of Ireland's most beautiful songs was born out of a political battle, rather than a true story of simple heartbreak. Mac Domhnaill composed his Mo Ghile Mear almost according to the convention of so-called Aisling poetry - in which Ireland haunts the dreams of the poet, in the form of a woman, mainly to lament the state of the island, but also predicting better times. Mo Ghile Mear diverts from this Aisling form in one point: the lament is not related by the poet, but Ériu is assumed to be the poet herself. There are two recordings of the song that come highly recommended - one is the effort by Irish and Scottish artists that concluded the sixth episode of the BBC "Highland Sessions" (still available on DVD), singers include Mary Black, Iarla O'Lionard, Mary Ann Kennedy, Karen Matheson, Karan Casey, and Allan MacDonald. Then there is the version recorded by Sting together with the Chieftains on "The Long Black Veil". But for sheer (shear?) fun you cannot beat the ad Specsavers had on TV for some time, with Mo Ghile Mear sung by Una Palliser which is available to watch on YouTube.